Oakland is a dynamic shopping environment. It features hundreds of locally-owned specialty and food shops, over 50 regional and national retailers, a growing gallery scene, and an unprecedented number of nationally recognized innovative chef-driven restaurants. and in Downtown Oakland to complement arts and entertainment clusters. The completed Broadway Valdez Specific Plan will make the entitlement process less time-consuming and less expensive for conforming developments. Click here to learn more about the Specific Plan. Oakland’s distinctive neighborhoods are the best place to make shopping and dining discoveries. Oakland's 55 shopping districts vary from quiet, tree-lined streets to bustling commercial corridors. Neighborhood-serving stores, unique ethnic shops, upscale chic boutiques, and more--Oakland has it all! A world of gifts can be found throughout Oakland - the most culturally and ethnically diverse city in America. For more information on Oakland shopping districts, stop by Shop Oakland and Visit Oakland. Oakland is home to several neighborhood and regional shopping centers, as well as two food halls—Rockridge Market Hall and Fruitvale Public Market. Oakland also hosts several farmers markets. Oakland has become an epicenter of fine dining, as chefs and entrepreneurs from across the region and the country discover its savvy, hungry clientele, friendlier permit process and much lower costs compared to the city on the other end of the Bay Bridge. 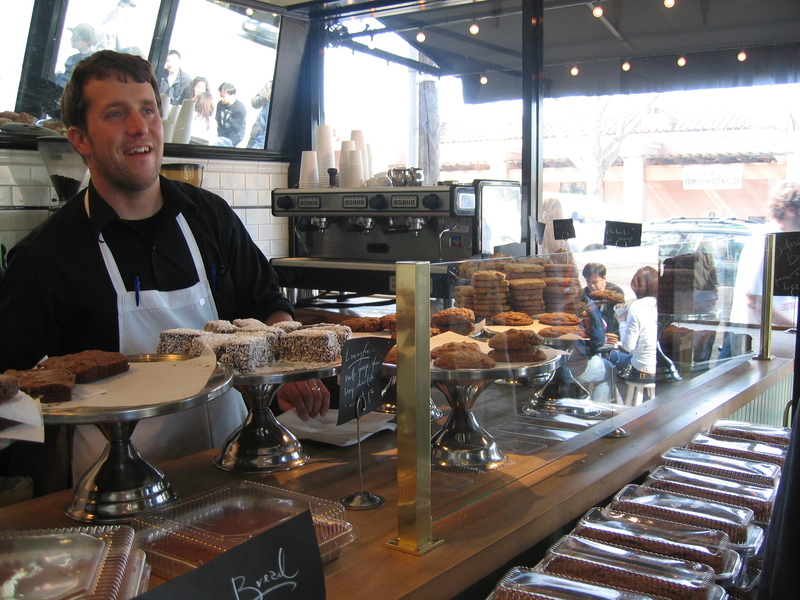 Find out more about Oakland restaurants and the annual Oakland Restaurant Week. Much retail has located in Oakland, and substantial opportunity remains. Citywide, the largest opportunity lies in general merchandise retailing. In West and East Oakland, the most opportunity lies in supermarket retailing. Getting the word out to consumers via Oakland Grown, Visit Oakland and numerous privately run blogs about all the city's spectacular shopping, dining and entertainment options. Creating an unparalleled, fashion-oriented urban shopping place, primarily mid- to upper-income price points, in the Broadway/Valdez District. A specific plan, adopted in July 2014, lays out the retail vision for this area, provides a regulatory framework and makes it simpler and less expensive for development projects to gain approvals. Housing, hotel, office, streetscape and other projects are likely be a part of the area as well. Recruiting national supermarket retailers to open three stores, two in East Oakland and one in West Oakland. Since the Oakland Retail Enhancement Strategy was completed, a Target store with significant food offerings opened on the Emeryville border, and Foods Co opened at Foothill Square. Working with City staff in CEDA, Fire, Police, and the City Administrator’s Office as well as other government partners to share information, maximize opportunities and resolve regulatory issues for retailers. 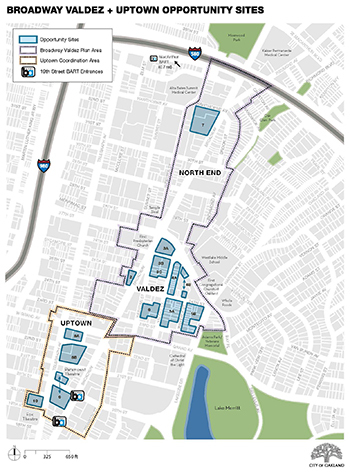 Assist in implementation of and marketing of the Broadway/Valdez District Specific Plan, the main thrust of which is to create a regional urban shopping place to serve Oaklanders and others from the area. Ensuring that the Oakland Retail Enhancement Strategy findings are used in City plans. Continuing to provide “ombuds” services to retailers and retail property owners. Staff provides demographic, traffic, sales tax and data to help businesses make decisions, and staff helps clients navigate the regulatory process. Want to learn more about recent and upcoming retail, residential and mixed use development projects? Check out the City of Oakland – Active Major Development Projects List (scroll down page). For assistance in finding information, locations and resources for your retail, restaurant, or entertainment business, please contact Keira Williams, retail specialist, at kwilliams@oaklandnet.com or (510) 238-3853.